In recent decades there has been increasing attention to mass atrocities such as genocide, war crimes, crimes against humanity, and other gross human rights violations. At the same time, there has been a vast increase in the number of academics and researchers seeking to analyze the causes of, and offer practical responses to, these atrocities. Yet there remains insufficient discussion of the practical and ethical challenges surrounding research into serious abuses and dealing with vulnerable populations. 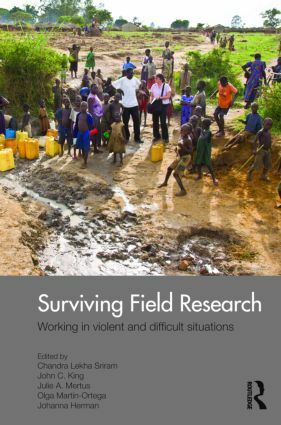 This important text will be vital reading for students, scholars and researchers in the areas of research methods, international relations, anthropology and human rights. It will also be of keen interest to policy practioners and NGOs, and especially relevant for those working in the regions of Africa, Latin America, and Asia.